Sometime ago I wrote about the city where I grew up. Few more photos found on Flickr posted by a Western tourist prompted this post. 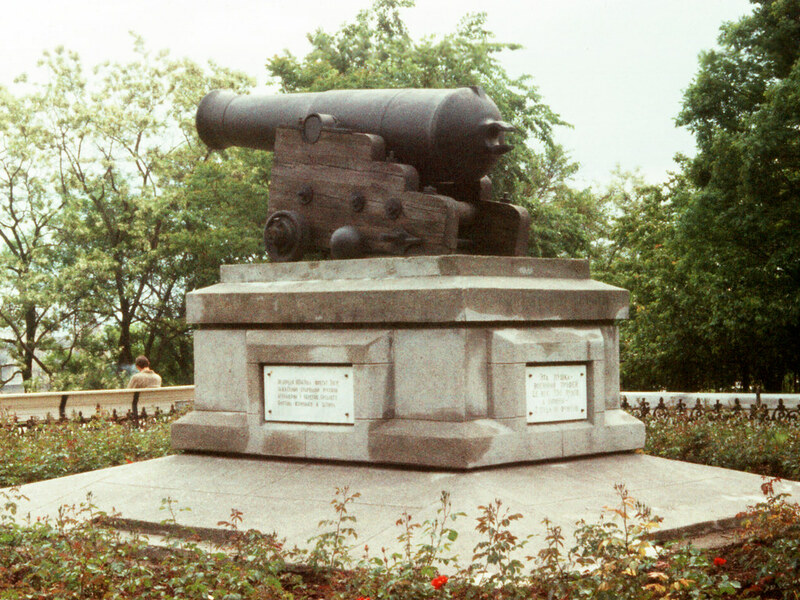 This cannon was taken from the sunken British steam-frigate Tiger. “On the 12th of May (1854) the steam-frigate Tiger, which ran aground in the fog, was fired at by the artillery of Odessa. The vessel was destroyed, the captain mortally wounded an the crew captured.” It was later recovered in installed on a pedestal in 1904 to commemorate the 50th anniversary of the attack. 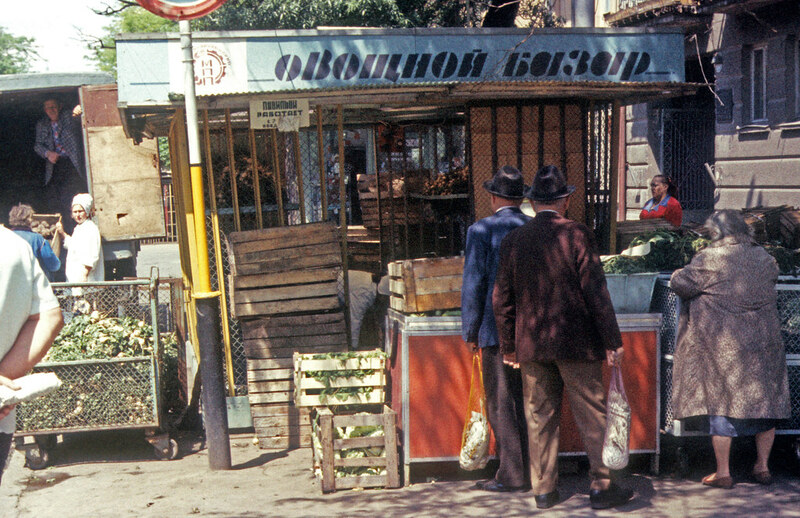 During the summer these kiosks sold everything from tomatoes to watermelons. This is the same type of kiosk where I was once stood in line for hours trying to buy mandarins. 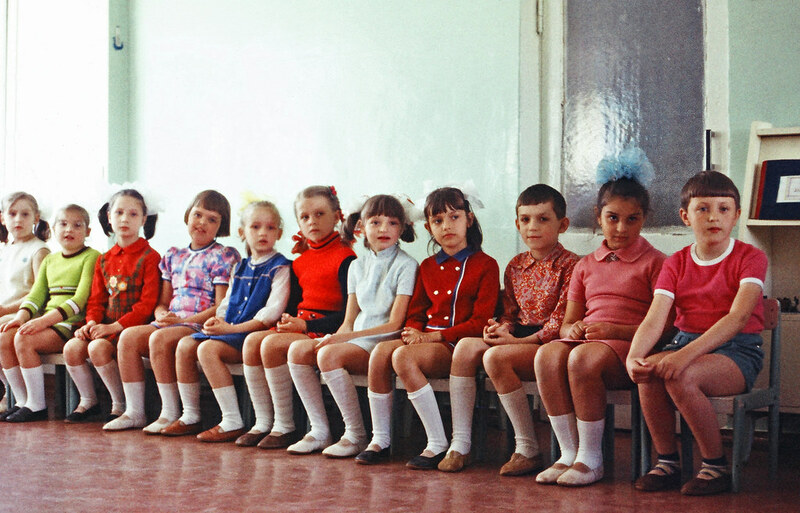 This is a typical Soviet kindergarten. 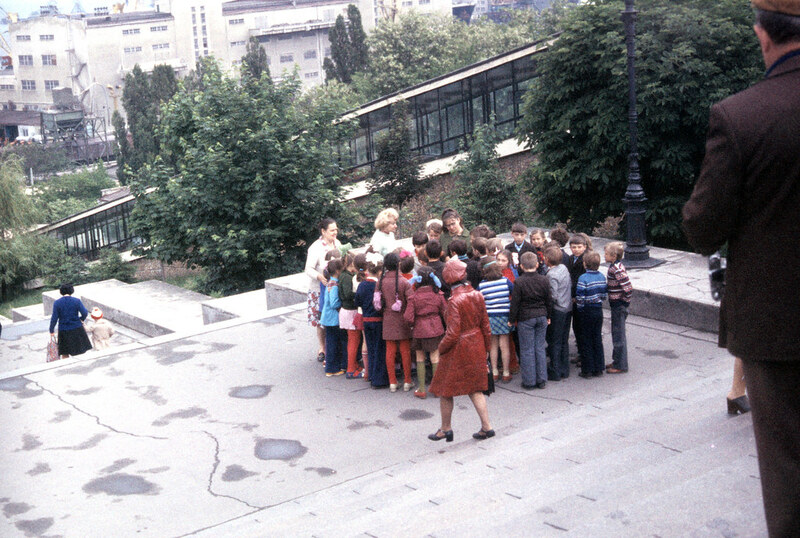 Maybe a little upscale, since the foreigners were brought in to meet the kids and take some pictures. 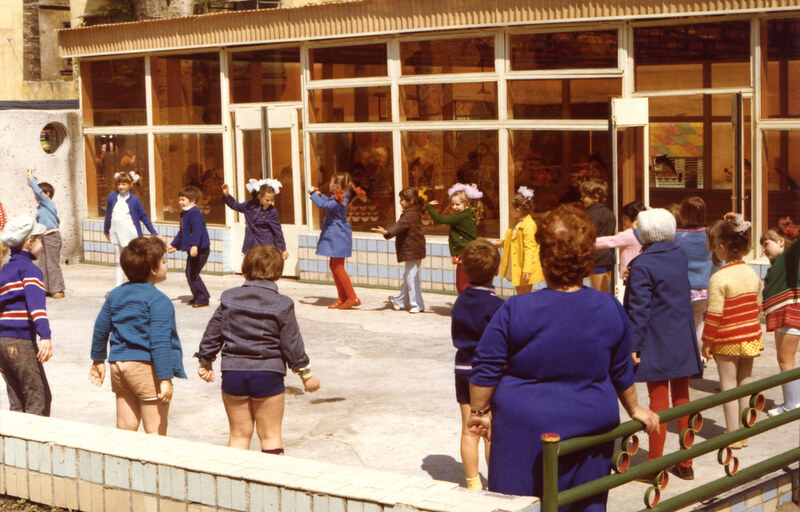 Notice the knee socks and dancing shoes “cheshki” that were a part of a uniform. Two years earlier I could’ve been in one of those pictures. 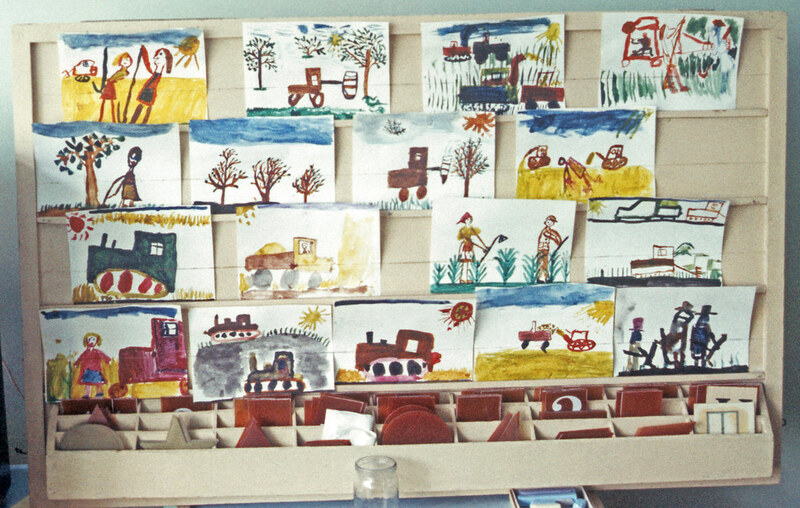 For some reason, tractors and wheat harvesting seem to be the the main subjects of the kids’ pictures. Notice the absence of Mickey Mice, Barbies and other such things. Monument to the Unknown Sailor. High school seniors took turns standing guard. 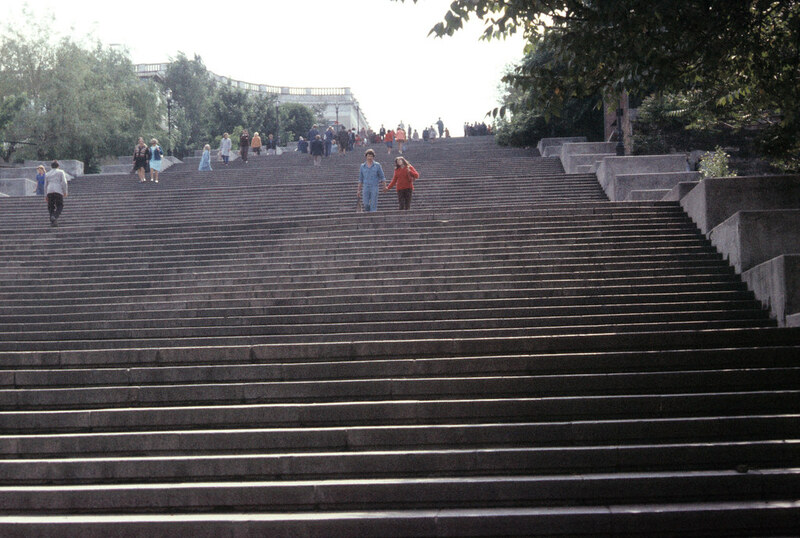 The next three photos are views of the Potemkin Stairs. 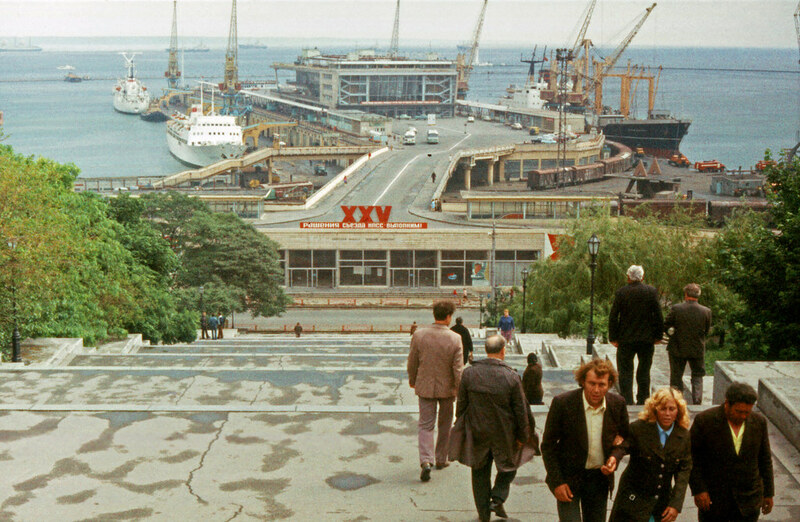 Odessa port, below, looks a lot different today. 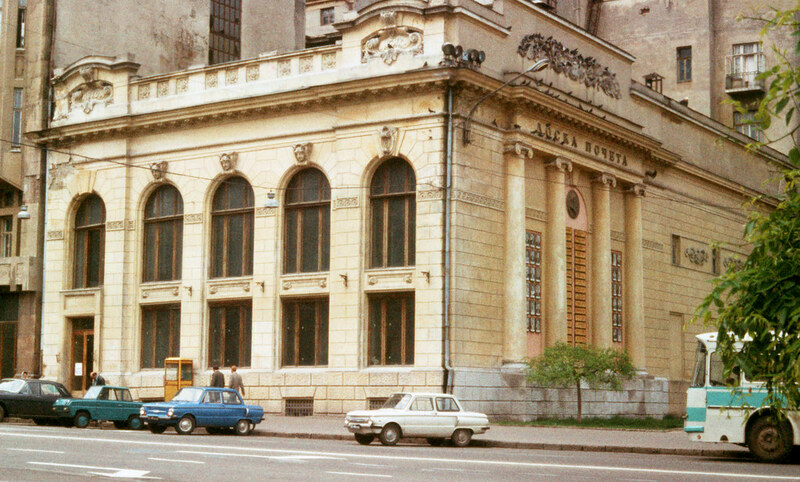 In 1977 it was decorated with the promise to fulfill the directives of the XXV Congress of The Communist Party of the Soviet Union. If you have never seen the original Potemkin Stairs scene from the original Eisenstein movie, here is an American remake. 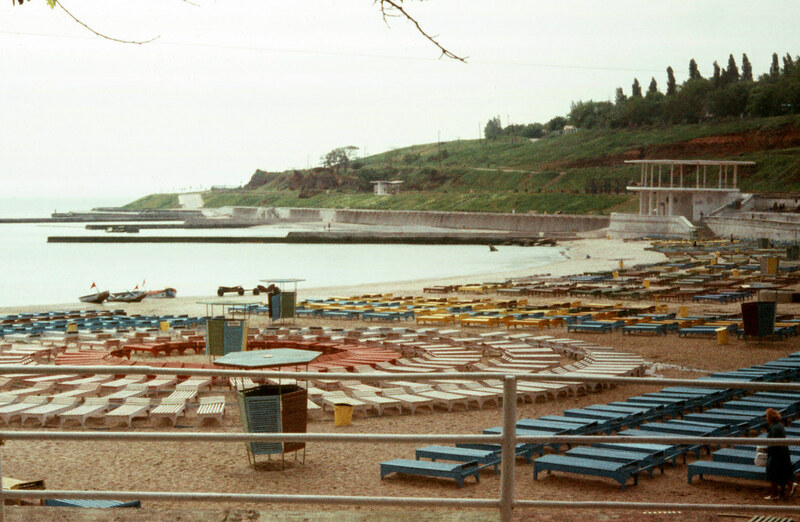 Famous beaches of Odessa; most people tried to spend every available minute tanning and swimming. Tan-less tourists were ridiculed. Marriage Palace; somewhere there is a photo of me standing in front of it. The City-wide wall of honor is on the right. Two cars on the right are infamous Zaporozhets. The next one is pretty much a motorized wheelchair with the roof and a lawnmower engine; these were usually distributed to the wounded veterans of war. 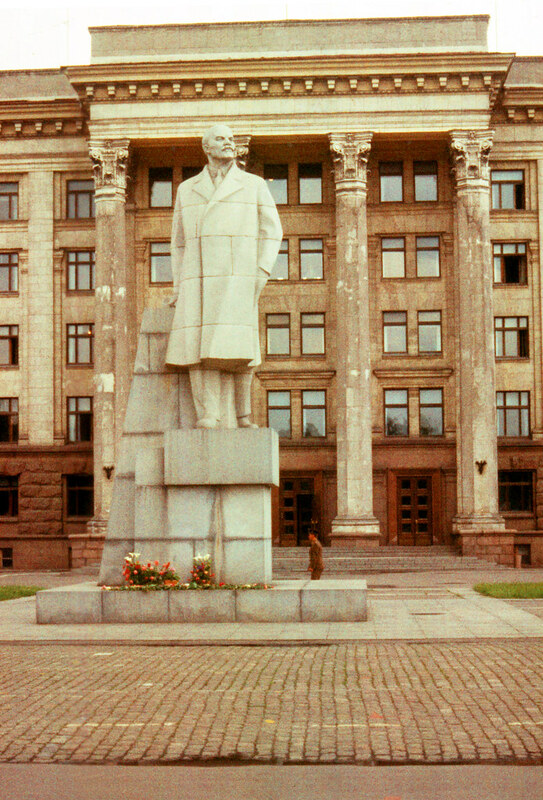 This is the main statue of Lenin in town in front of the Regional Committee of the Communist Party. Thousands of smaller Lenin’s were sprinkled everywhere else. 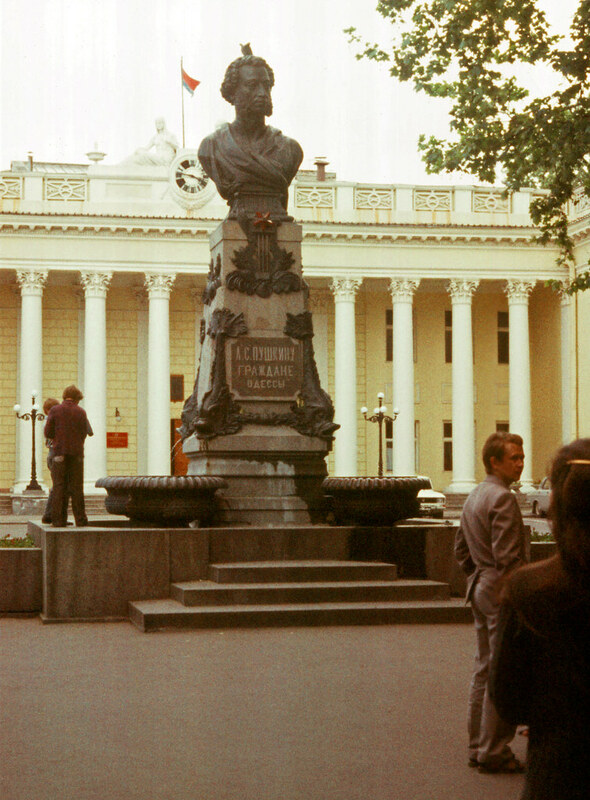 Russian poet Pushkin is facing away from the City Hall. 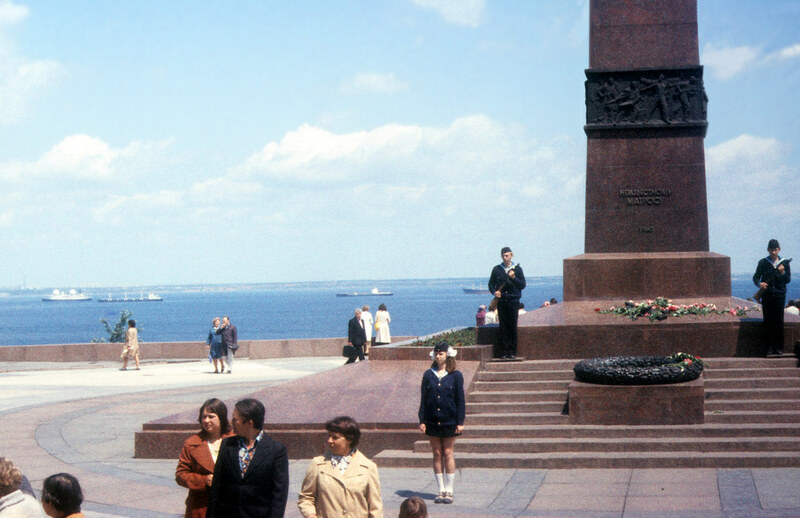 When the citizens were collecting donations for the monument, the City Government refused to give, so the people of Odessa placed the statue facing the opposite direction. 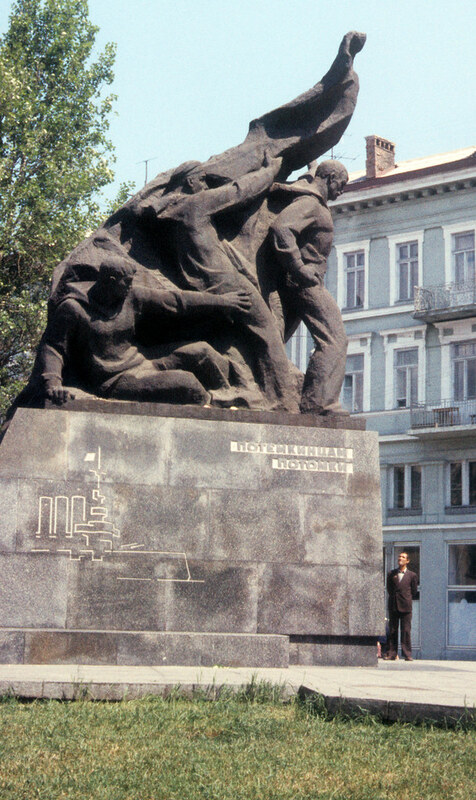 This monument to the uprising on the Battleship Potemkin was since moved and replaced by another sculpture.